Neighborly homes is both a noun and a verb. It is the term that best describes how homes fit well together. This term is that additional sense that we all have to know that the street is right. It is the urban design equivalent of the term umami from the food world. Neighborly homes is a term first coined by Habitat for Humanity in their national Pattern Book for Neighborly Housing. This body of work was completed through a grant in partnership with the Institute of Classical Architecture and Art and Urban Design Associates. The Pattern Book took on the challenge of explaining how to build new infill housing. It is quite a challenge to explain to two generations of suburbanites that it is ok to have variety on a street. It is a relatively new idea that a community or street would be composed of one house type, and constructed by one builder. Traditional neighborhoods are aggregates composing a whole. 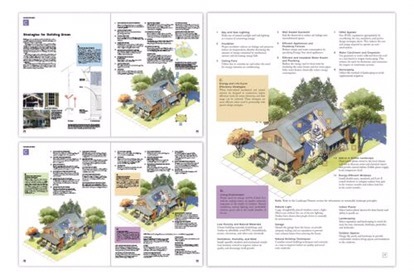 The Habitat for Humanity Pattern Book simplified the issue into an easily understood idea. There is no complexity in the idea, and therefore it is understandable to a large audience. Neighborly Housing is both a positive and desirable outcome for a community. Neighborly homes include a variety of housing types of similar form. Its not about density, but about design. The American Urbanism Studio provides the opportunity to see this in American Cities. American Urbanism provides us many lessons on how to make great places. New development and buildings should recognize the local context and contribute to the living tradition of the neighborhood in which it is built. This is the new tradition. A Tradition is defined as a continuing pattern of culture beliefs or practices. This is the sharing or the handing down of a behavior or activity. Traditions are living practices, and each generation adds and builds on these traditions. The same is true in our cities. American Urbanism is historically rich and includes patterns that we can all learn from. As practitioners, we are part of this living tradition where we continue these urban patterns, and continue to add and enrich these traditions. Traditional urbanism and architecture is not prescriptive. The traditions found in our cities provides us descriptive lessons that we can continue to grow and develop. Concord Riverwalk in West Concord, Massachusetts, is new project that encapsulates the new tradition. Concord River Walk is a Pocket Neighborhood which grew out of the work and research of Ross Chapin. This pattern of housing is not new to American Urbanism. Pocket Neighborhoods became outlawed with the adoption of Euclidian Zoning and the mechanization of the home building industry. Through the research of traditional urban patterns, there has been a revival of this housing type.